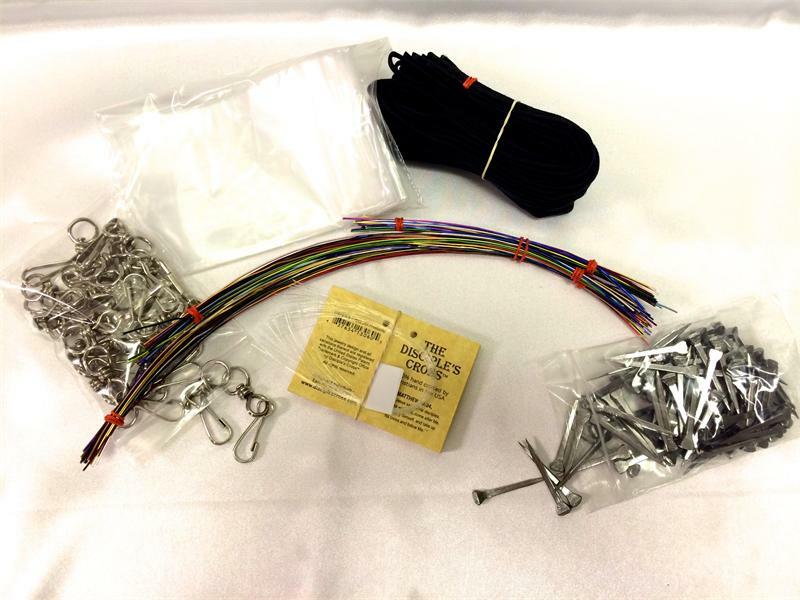 One Supply Pack contains supplies needed to make 25 Disciple's Cross cross zipper pulls - 100 nails, 25 pre-cut wire sets in assorted colors, 25 zipper pulls, 25 cords, 25 zip-locking bags, 25 items tags with monofilament line. (Note: Clear coat acrylic must be purchased locally.) Instructional DVD may only be purchased in the initial Starter Kit.